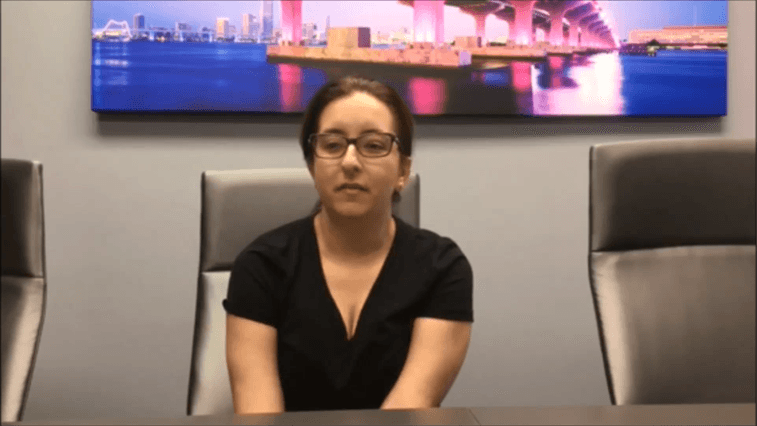 Miami Personal Injury Lawyer | Stabinski & Funt, P.A. Our firm has a reputation for winning cases that other attorneys didn’t think were possible to conquer. Storm Damage from A Hurricane? We fight for the settlement you deserve. Our Miami attorneys have handled almost every kind of injury case there is. There is absolutely no risk to you. If we don’t win your case, you don’t pay any fees. Have you suffered an injury because of someone else's reckless behavior? Is the insurance company refusing to make fair payment on your claim? In cases like these, the personal injury lawyers of Stabinski & Funt, P.A. stand ready to help you. Stabinski & Funt, P.A. is one of the oldest and most respected law firms in South Florida. We have been the trusted advocates for countless injured victims and homeowners throughout Miami, Fort Lauderdale, and surrounding communities since 1970. When you need help recovering fair compensation for your medical bills, lost wages, and pain and suffering, we can fight for your rights to the fullest extent of the law. We have effectively represented clients in a broad range of personal injury claims, including serious injuries from car accidents, truck accidents, and while on vacation in Florida. Our team can also assist surviving families with wrongful death claims after the death of a loved one due to another person's negligence. We understand that this is a challenging time for our clients, and we go above and beyond to provide accessible, dedicated, and knowledgeable guidance through each step of the claims process. Legal representation has never been more effective and affordable with our law firm. We work on a contingency basis and offer free case evaluations to our clients. The only thing we ask for upfront is some of your time to discuss your injuries and how the accident has affected your quality of life. What does a contingency fee mean? If we decide to take your case, we invest the necessary time and energy into getting you the highest compensation possible. All you need to focus on is your health. To learn more about how our high-quality representation can benefit you, we encourage you to give our Miami personal injury and insurance attorneys a call at (305) 964-8644. We welcome clients from all across Miami, Fort Lauderdale, and beyond. Our attorneys have nearly 200 years of combined experience handling cases like yours. As a highly respected law firm in South Florida, we know how to handle your case. Send us some details about your case to speak directly with an attorney right away. Why Hire Stabinksi & Funt, P.A.? We work quickly to deliver prompt and effective solutions to our clients. We are never too busy to speak with you or address your concerns. As skilled attorneys, we are often able to help our clients avoid a costly trial while delivering positive results. We can walk you through step of your case, from the initial consultation all the way to a trial, if necessary. We are fierce trial attorneys who know how to confidently litigate cases in front of a judge and jury. We don't let insurance companies take advantage of our clients. Our team fights to help you obtain a fair settlement. At Stabinski & Funt, P.A., winning big on behalf of our clients is no accident. We have handled thousands of personal injury and insurance claims over the years. From negotiation or mediation to litigation, we have consistently helped clients throughout South Florida obtain significant settlements and verdicts. Every case that we take on we approach with compassion and client-centered commitment. As a family-owned law firm that offers experienced, hands-on representation, these foundational beliefs are in our blood. 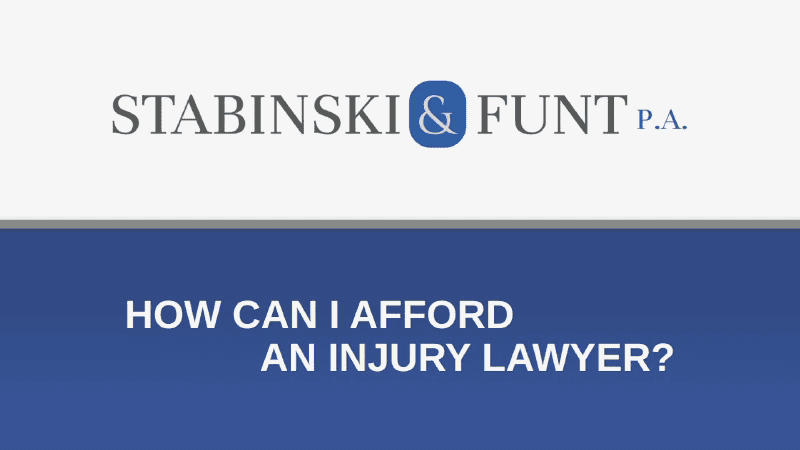 After suffering a serious injury, you should get in touch with Stabinski & Funt, P.A. to learn how we can apply these qualities to your case. We have the experience and ambition to help you seek a favorable outcome. *Prospective clients may not obtain the same or similar results. The amounts stated on the website are before deductions for fees and costs of attorneys and third parties such as medical providers. AURELIO GARCIA & ALINA GARCIA, his wife vs. LOUISVILLE LADDER, a division of EMERSON ELECTRIC CO.
Man suffered paraplegia after falling from an extension ladder while cutting tree branches. The ladder’s locking mechanism failed causing the ladder to collapse. JUAN CARLOS VAZQUEZ, as personal representative of the estate of VICTORIA VALLE, deceased, and on behalf of JACLYN VALLE and ANDREW VALLE, the minor natural children of decedent, and CARMEN MARTIN, individually vs. LAGO GRANDE HOMEOWNERS ASSOC., INC., and CENTURION PROTECTIVE SERVICES, INC.
Woman shot and killed by a trespasser at a guard-gated residential community. Another woman was shot in the leg but survived. UPS employee’s leg was crushed and deformed by a defective conveyor belt. As proven negotiators and seasoned litigators, we are more than confident in our ability to help you assert your rights. If you have been involved in a personal injury accident or have been a victim of insurance bad faith, we know that both of these areas of law go hand in hand. Our extensive knowledge in these fields allows us to help our clients initiate legal action, file a claim, and maximize their financial compensation. We are never too busy to meet personally with our clients. We understand that accidents can happen at any time and that you deserve devoted, unwavering representation during this challenging legal dilemma. Every member of our firm takes an aggressive and proactive stance in our clients' cases to bring about swift and meaningful resolutions. We can help make the justice system work for you. 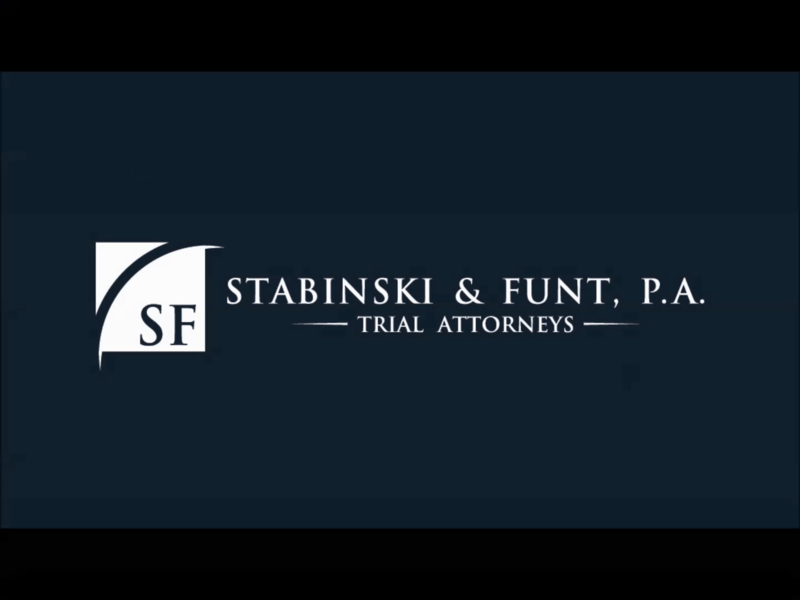 Luis Stabinski is the founding member of Stabinski & Funt, P.A. Over the last several decades, he has recovered millions of dollars on behalf of his clients. Todd Stabinski, a board certified trial attorney, has tried dozens of cases in state and federal courts. Many clients have benefited from his expertise. Norman Funt focuses solely on personal injury matters. He has obtained verdicts and settlements totaling millions of dollars on behalf of his clients. Ariel Furst brings more than two decades of experience to his practice. He currently holds membership in the Association of Trial Lawyers of America. Daniel Caine maintains practice areas in third party personal injury, automobile negligence claims, premises liability and products liability, as well as first party property damage claims. We are devoted to pursuing fair compensation for every client. Speak with an attorney at absolutely no cost to you!